Jan. 6 was a big day for Kellogg Community College in digital media: In addition to posting one of the most popular posts in KCC Facebook history, KCC was featured in a Huffington Post article about apprenticeship programs. KCC is among just a handful of community colleges in the nation Snyder singles out in the article for their partnering with local manufacturers to provide valuable apprenticeship programs for students. 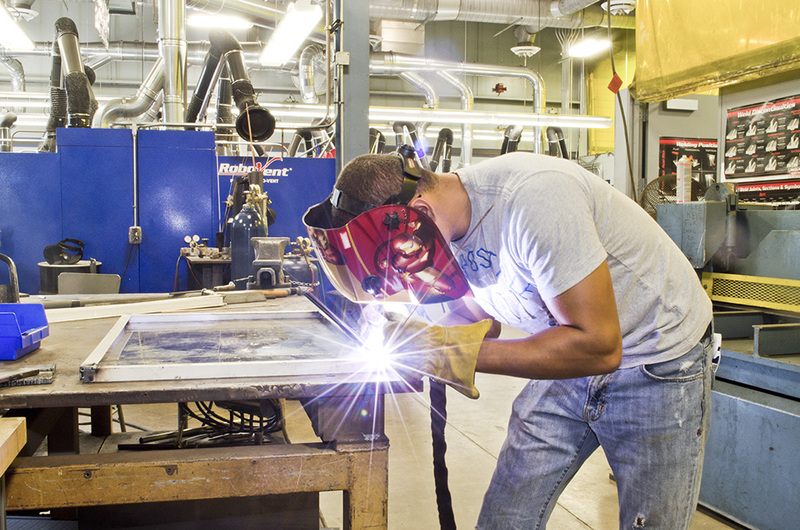 KCC’s wide-ranging Industrial Trades curricula at the College’s Regional Manufacturing Technology Center in Battle Creek are recognized by the U.S. Department of Labor and are used by many regional companies for apprenticeship-related training instruction. According to Snyder, the benefits of apprenticeship training for students are clear. For more information about apprenticeship opportunities available through KCC, visit www.kellogg.edu/apprenticeships or contact the KCC Admissions office at 269-965-4153.